On August 19, we'd like to invite you for an afternoon of fun and enjoyable family activities. Our goal is simple. 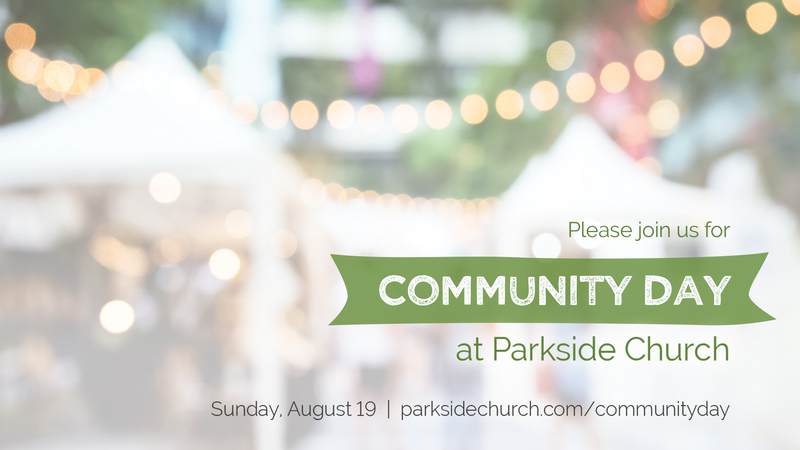 We want to introduce you to the people of Parkside. Join us from 3-6pm, when Parkside's parking lot and fields will be transformed into a place for games, live music, and entertainment. In this festive atmosphere, we will be serving free food: hamburgers, hotdogs, popcorn, ice-cream, and cotton candy. There will be a petting zoo and pony rides for younger children, along with balloons, face painting, and a variety of games. Older kids and adults will be able to take part in inflatables, corn hole, basketball, a climbing wall, mechanical bull, and surfing simulator. Need directions to Parkside? Click here. Share the event on Facebook Click here. 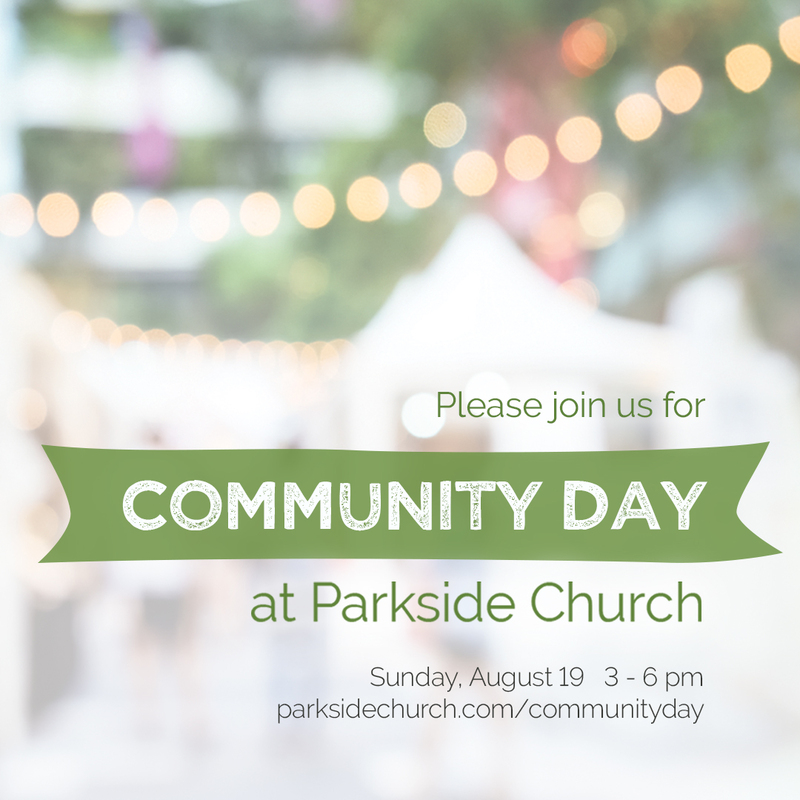 We look forward to seeing you at Community Day. Join us and bring someone along with you on August 19! See photos from Community Day 2018!